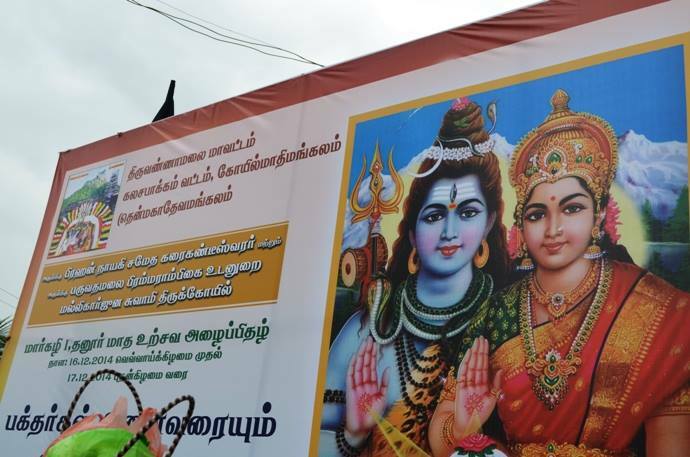 Girivalam was held on Thursday, the 16th December 2014 (Margazhi 1st) in commemoration of the Girivalam performed by Pujyasri Mahaswamiji 70 years back, on the first day of Margazhi month (15.12.1944).Girivalam was held around the great Hill - Sri Parvathamalai - from Kadaladi village. His Holiness Pujyashri Shankara Vijayendra Saraswathi Shankaracharya Swamiji visited the Karaikandeeswarar temple at Parvatamalai. HH Pujyasri Mahaswamiji performed the Girivialam 70 years back, on the first day of Margazhi month (15.12.1944).He went on foot around the great Hill along with a number of devotees starting from his camp at Kadaladi village and reached back the camp in the night. 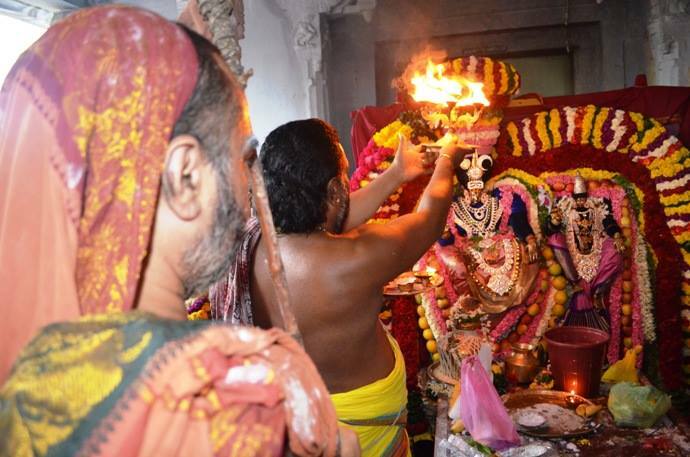 A similar parikrama was organized last year and earlier years. 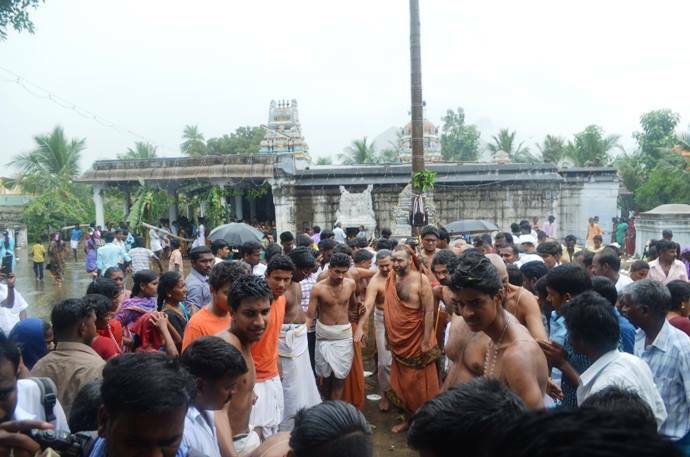 This year, devotees performed Girivalam from Thenmadimangalam following the route of about 25 Km along the villages and reached back at Thenmadimangalam.